It’s one of the largely asked questions on how to start UK based catering business in the UK Business Forums. Finding a definitive answer on setting up niche businesses can be somehow confusing. This is why we talked with some successful home-based catering business persons for advice on how to start a catering business. You’ll soon be the proud owner of one of the food catering companies that reflect your values and tastes if you do it right. And what the most important is to take happy signs your customers’ faces. As you dream to set up your own business, you’re going to make it done finally. Who is Suiting UK Based Catering Business? The Catering business is not as simple as walking in the park to prepare tasty and healthy meals quickly. Even having your own catering knowledge will still be crucial if your business is big enough to have a head chef to deal with the food preparation. Moreover, you can consider some courses if you lack the necessary experience. You’ll find a range of Catering Hospitality NVQ’s/SVQs available when you don’t have the time or money to do a degree. At least, you should have some managerial experiences into how it all works in a catering business for an insight. We’re here with a simple 5 steps to start UK based catering business. Following these steps, anyone can start a catering business as his own. The steps are designed as simply as you can do them easily as well. It’s all with a business plan, location to set the business, kitchen equipment etc. so, let’s see what comes with the steps in short details. You must get some legal requirements for UK based catering business at first. Catering businesses needs all comply with food law, according to a Food Safety Authority (FSA) spokesperson. The spokesperson also adds they must have risk-based and proportionate food safety procedures in place. And it’s depending on what food activities are undertaken. So, the first and the most important parts of a small catering business are to register the business with the environmental health department of the local authority. According to the spokesperson, they’ll carry out an initial assessment to determine the frequency of inspection and whether the business needs approval. Also, follow the standard procedure for setting up as a company to register your business with HMRC. What do you need to startup UK Based Catering Business? The expert advises about what kind of food you’re going to make and what you need at the outset depends on. At first, you have to get an idea along with a passion for the product that you’re going to prepare. Also, you should know the basics of the safety/ risk of food health. You can look at the framework of HACCP, which is the best to follow. You can check this through the IPO website as it’s really important to check that the name of your business does not breach any existing trademarks from the start. Moreover, as a food business with your local council who will come out and do an inspection, you have to get registered. In addition, it can be done quickly and easily online, which is a good idea to prep and complete the necessary health and safety courses. It’s crucial that you understand where the risks exist in areas such as allergens, cross-contamination, and general hygiene and the paperwork is as important as the inspection itself. Does the Kitchen size matter? Kitchen size depends on what kind of food you’re making where a massive kitchen isn’t the be all and end all. But, what matters most are the right tools for the job that you must have. You needed the right tools for blending, grinding and roasting which we already had so there was no need initially to buy extra equipment as a spice company. As a retirement project for my mum so we were confined to her kitchen, the business was set up. It’s not more than big enough to handle what we needed or not too bad a size. Definitely, you should always pop down for flour and eggs to your local Tesco. But, you might want to consider using a supplier such as Costco or a cash and carry to be really cost-effective. For example, experts use to source Spice Kitchen ingredients from the UK and overseas. You can in order that the blends you create are of the highest quality as you’re forever chasing the best quality raw ingredients. Moreover, you have to think about your products’ packaging, labeling, and storage. Some experts convert part of his house to fit the business as the company’s grown in terms of storage. In order to make our operation more efficient, you’re constantly looking for ways. This is because it has kept the costs down. And also as a retirement project, we wanted to avoid getting a unit so you could avoid the hassle of traveling there regularly. Moreover, it’s really important to run from home. For a quality finishing of the food product, packaging and labeling is a very important part. As it shows you need to be able to label up your products for resale. And you need to be able to trace the batches of the food back to the source meat/farms etc if there’s meat involved. They’ll pull up any shop selling your product if not properly labeled because trading standards are very hot on this. It also gets round within a couple of weeks to your door. As you’ll cover ingredients, packaging, labeling and potentially distribution, you’ll need enough money. Also, you may need money to hire an accountant if it grows fast. Moreover, you need help registering with HMRC or tax returns, which depends on the growth of the business. It’s better if you can start with your own money instead of loans. Although the approximate cost varies, it could be $30000 at the startup of the food catering business. It’s easy to answer what the possible location of a UK based catering business is. Depending on what you’re making, it could be farmer’s markets or local cafes. On the other hand, you can use another route and that’s online selling along with a website. For example, you can start selling on eBay and it’ll get growing to other sites. Besides, you can book trade shows as well as the Specialty Fine Food Fair and the Spirit of Christmas. 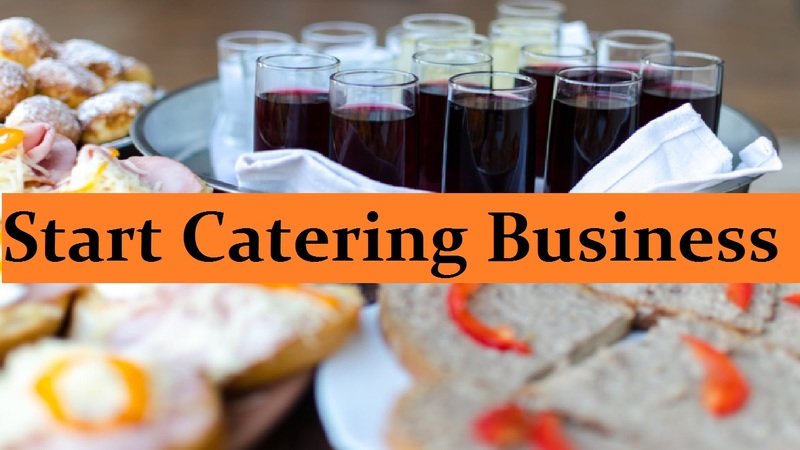 Successful UK based catering business persons come with the right planning, dedication along with good marketing and funds that are sufficient to complete the needs. But, all may go to the dogs if you fail to serve with the standard quality. So, you can make customers come back with the unique and quality services. Above all, you have to feel passion for what you do. If you do it with your love for the service, hope customers will keep on coming to you. The topmost secret of any business is quality. It implies good services, good products, and good environment. These all make customers happy and make them return again and again. This was all about UK based catering business for the beginners. If you want to know more, contact us or comment on your requirements. We’ll try to reply as soon as possible. Also, comment to share your personal experience. And share the post in the social media with your friends if they’re in need the idea. Till then, happy catering business!